For over 25 years Stephen D. Lipman, D.M.D. has been a fundamental part of the Windsor community. Located in the heart of Windsor center at 230 Broad Street, Dr. Lipman sees patients, both young and old; practicing what he feels is his unique style of family dentistry. Unlike many of today’s large offices with cold impersonal care, Dr. Lipman and his staff offer a friendly, warm and caring environment to their patients. Dr. Stephen Lipman became a dentist after a life-long calling to enter the medical field. His practice is driven by his desire to use his skills to help patients and improve their smiles and lives. In addition to overseeing his dental practice, he also enjoys spending time with his family and singing the Great American Songbook. Dr. Lipman also feels it’s important to give back to the community. Dr. Lipman is an active participant in Connecticut's "Mission of Mercy", a program designed to deliver free dental care to those who otherwise could not obtain it. He regularly visits classrooms to teach dental education in our schools. His office doors are always flung open to participate in Nightmare on Broad Street, the Windsor Chamber of Commerce’s colossal Halloween event. Dr. Lipman is also a big supporter of Food Share. In addition, he was president of Beth Hillel Synagogue in Bloomfield and is a past Rotarian. A lover of music and song, you may catch Dr. Lipman performing in local theater or doing tributes to his favorite artist, Frank Sinatra, crooning selections from the "American Songbook". Dr. Lipman and his wife Shelley reside here in Windsor along with their two children and pet pooch Wesley. 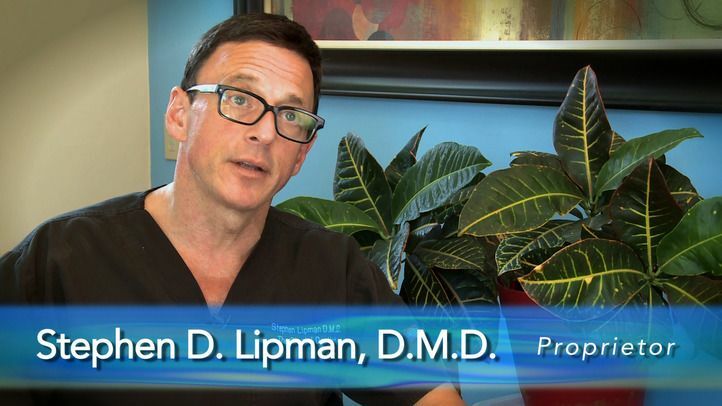 Dr Lipman offers a full gamut of preventive, restorative and cosmetic procedures to the community. We currently are accepting new patients and both children and adults are equally welcome. Many insurance plans are accepted and we will be happy to process your claim for you. For more information, contact us or schedule an appointment by calling 860-688-4634.